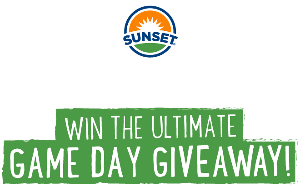 Prize: Create your own $5,000 custom prize package: 4K 65 Inch TV Samsung Flat 65”4K TV; Bose headphones; $1,000 Gift Card to NFL.com; $1,000 Gift Card to NCAA.com; Bluetooth Wireless Speaker 2 SONOS® Play Wireless Speakers + more. Statistics: This contest was opened by 56 and entered by 9 ContestChest.com members. 16% of those who opened the contest, entered it.